Among CSE’s people-focused efforts is an Employee Assistance Program which was established to help employees and their families who might encounter any of a broad variety of challenges. Recognizing that family issues or life issues affecting employees at home are going to carry over and affect you at work, the company want to make sure we provide every opportunity for the people we work with to get financial and other support assistance they might need. The company’s quarterly newsletter is sent to each employee’s home “because the whole family is something we’re supporting,” evidenced also by the fact that spouses are invited to all ESOP meetings. “They are part of what we’re doing here, too,” Kesselring says. Tied into the holistic work life / home life balance, CSE conducts training sessions for operators on the importance of proper sleep and provides insights to help that happen. Sessions also are run on how to help family adjust to a third-shift worker. Kesselring says the “pride” aspect of the three Ps mantra comes from how people feel about where they work. Therefore, Contract Sweepers makes it a point to invest in its facility and invest in new equipment. Kesselring says the management team and the employee-owners talk a lot about purpose, about why they are in business. And it’s not just to sweep. “It’s to make money and that’s something everyone grasps easily,” he says. “But it’s also to make sure there’s a future for the people who work here. That’s the reason we have 401(k) contributions and it’s why we’re always encouraging people to contribute. 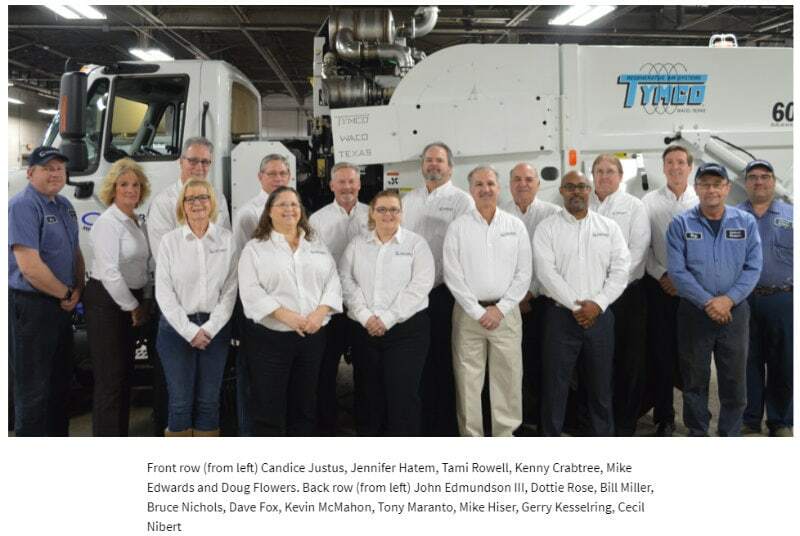 It’s easy to see how Pavement Maintenance & Restoration’s editors selected Contract Sweepers & Equipment as Sweeper of the Year based on this corporate philosophy. For a detailed run-down of the company’s history, please see the entire article here. Join 1-800-SWEEPER in celebrating this honor during NPE – the National Pavement Expo – during a presentation ceremony on Wednesday, February 27, 2019.